Pumps are vital to many different industries – from air conditioning to food and beverage. Pressure gauges can be essential to keeping pumps up and running. Proper maintenance plays a vital role in keeping your pumps pumping. Here’s a quick look at how pressure instruments help make that happen. Breakdowns do not have to be inevitable. Avoiding them just requires paying close attention to what your pump’s pressure transmitters are telling you and acting swiftly when you see trouble ahead. Subtle changes in pressure readings could signal problems with your pumping equipment. In the short term, minding your gauges can help to trim your plant’s energy costs. In the longer term, better maintenance and efficiency will mean longer-lasting equipment and fewer stoppages for scheduled or unscheduled maintenance. In today’s industrial world, we expect more from our equipment – including pumps. A pump might have to run at a maximum throughput speed for several hours, and then throttle down for days at a time. Most pumps shut on and off automatically, operating at variable speeds rather than at a constant rate. This requires precise pressure measurement at every step in the cycle, via reliable, well-made pressure instrumentation. Pressure instruments don’t just measure pressure: They continuously tell operators, engineers and plant managers how a particular pump is performing. To get the most accurate, up-to-date measurements, you must have the right instruments installed in the right locations – which underscores the need for gauge knowhow. In many industries, experienced personnel are retiring in large numbers, forcing newer, less-experienced people to acquire this skill set in a short time. 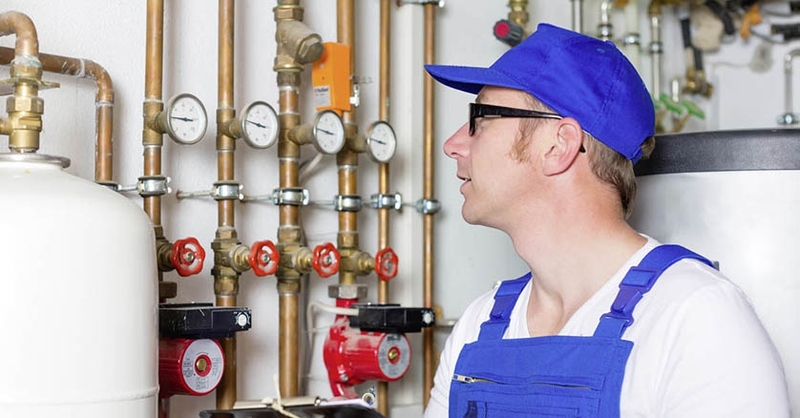 You can rely on WIKA for assistance with operator training as well as advice on choosing proper instrumentation and installing it right where it belongs. Gauges are your first line of defense against machine malfunctions. They also form a crucial part of state-of-the-art predictive maintenance programs. Using a wide range of instrumentation, PdM gives you a snapshot of what’s going on inside your pumping equipment. You’ll be able to analyze performance data over long stretches of time and be able to spot small problems before they develop into large crises. Pressure sensors, gauges, and transmitters are not interchangeable. These tiny devices must be designed to withstand the grueling conditions of their specific applications over the long haul, ensuring your data is always accurate. The investment you make now in quality instrumentation will pay big dividends five, 10, 15, or even more years down the road. Let’s face it: A malfunctioning pump is likely to result in unplanned downtime, which is bad news for everyone. A stoppage delays production and deliveries, thus hurting the bottom line. In a worst-case scenario, your operation could remain idle for days or weeks – all because of a pump. WIKA’s instruments and engineering expertise can help you keep your pumps running well. For more information, call 1-888-WIKA-USA (945-2872) or email info@wika.com. Or go to www.wika.us.